The following is information regarding violation notices (citations) received in the Central District of California. Your cancelled check is your proof of payment. To verify receipt of payment, you may call the CVB at the telephone number set forth above. If payment is not received within 60 days of the date of the violation notice, you will receive a Notice To Appear in court. (If you have not received a Notice To Appear within 60 days, call the CVB.) To reschedule a hearing, please call the appropriate number listed below or submit a written request to the Court and mail it to the Court address that appears on the Notice To Appear. Your request must be received by the Court at least one week prior to your scheduled hearing date. Please include your name, the citation number, the scheduled hearing date, how long of a continuance you are requesting, and the reason for a continuance. To reschedule a hearing or arrange for a hearing date on a warrant or driver's license hold in Los Angeles, call (213) 894-2353. To reschedule a hearing or arrange for a hearing date on a warrant or driver's license hold in Santa Ana, call (714) 338-4754. To reschedule a hearing or arrange for a hearing date on a warrant or driver's license hold in Riverside, Barstow, Fort Irwin, or Yucca Valley, call (951) 328-4455. To reschedule a hearing at U.S. 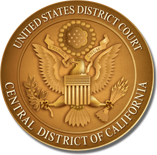 Courthouse, 1415 State Street, Santa Barbara, for Vandenberg Air Force Base, Point Mugu, Port Hueneme, Los Padres National Forest, or Channel Island offenses, please call (213) 894-3787. If you wish to transfer your case to another District, please call the CVB at (800) 827-2982 and they will provide you with the necessary information. To verify that a warrant has been recalled, please call the U.S. Marshals Service at (213) 894-2075.